The last time I made cinnamon buns ( Original recipe below), I tried something a bit different. My Man loves those cheese sticks you buy in the bakery dept of most grocery stores, and I have seen the cheese buns there. 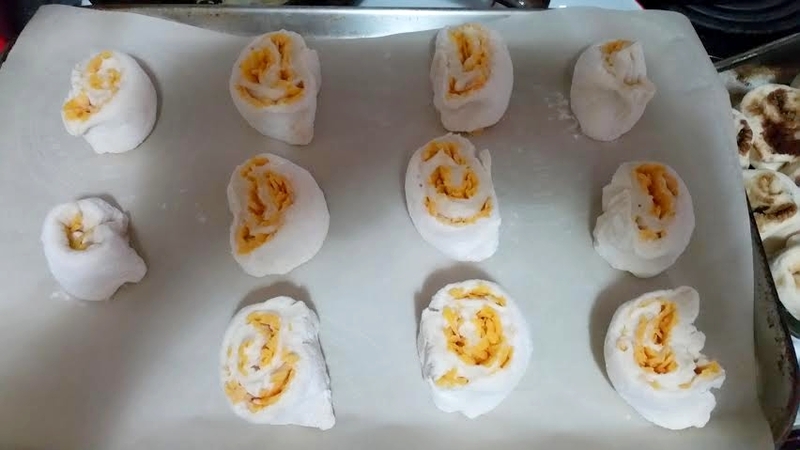 Also, a dear friend told me how she makes her own cheese buns and so I thought I would try my own version. So, before I started the dough this time, I grated up some cheese. All I had on hand was mild cheddar, so that's what I went with. I did the same thing with the dough up to the brown sugar and cinnamon part. 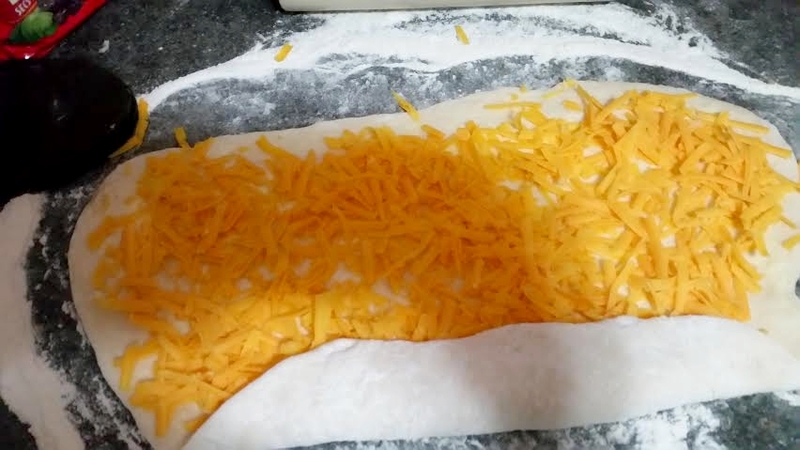 After I had buttered the rolled out rectangle of dough, I simply sprinkled the grated cheese over top and rolled up the dough. Then I proceeded to slice the roll into 1 inch slices and set them on a parchment paper lined baking sheet. I set them to rise with the cinnamon buns, and baked them in a 375 degree oven for 20 minutes. They turned out beautiful! Although, I didn't think they were all that cheesey tasting. 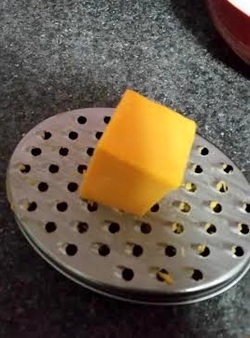 After talking with daughter#3 (she has had a lot of cooking classes and has helped out with catering classes at her local high school) she suggested using old cheddar next time. 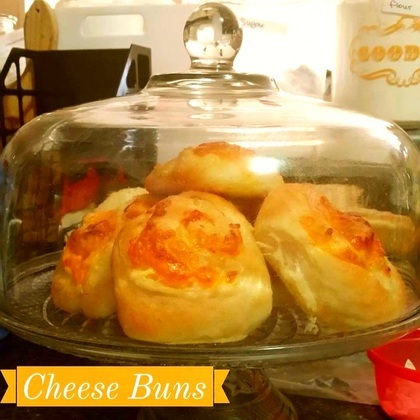 She said that in the case of my cheese buns, the mild cheddar wasn't strong flavoured enough and so took on the flavour of the bun instead of the bun taking on the taste of the cheese. 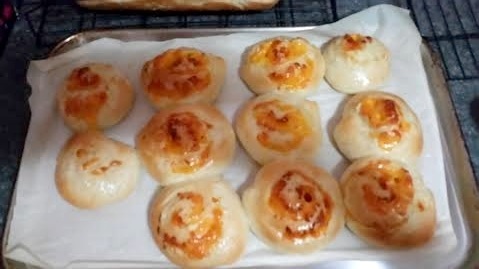 She also suggested after putting the slices on the baking sheet that I could sprinkle some grated Parmesan cheese on top to give a bit of a flavour boost to the buns. So, I shall try that and see how it goes over. I will let you know how they turn out! Oh, one more step that I forget. 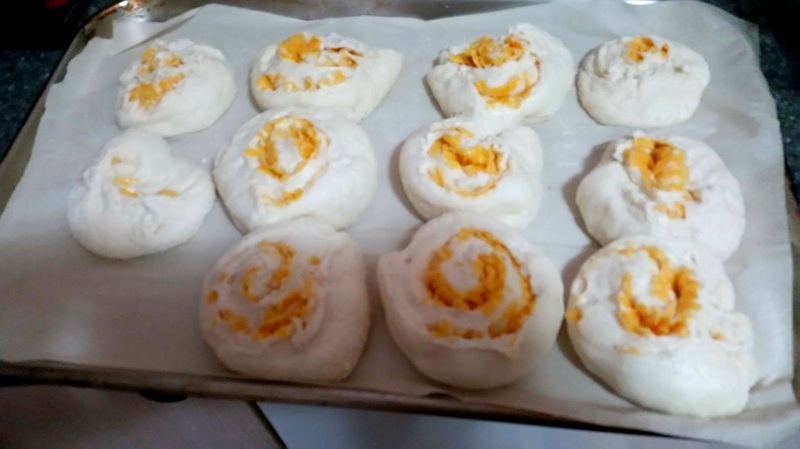 Right after taking the cheese buns out of the oven, I brushed the tops with melted margarine. I find it helps to keep the tops soft. I do this with my dinner buns as well as my loaves of bread when I bake those.